“The nutty cheap one” sounds familiar? Have you heard this to acknowledge your cheap ways? If not, I am sure you’ve heard similar. Now, let’s go back a few years, months, or even weeks for some. Reminisce on the day you made the decision that today is the day I refuse to work for another person. It normally sounds a little something like this… “Today I will no longer use my parent’s support through college, or this will be the last day I leave my babies because I am certain there is a way to become just as successful if not more by working from home.” After finalizing the decision, you find yourself searching high and low on ways to stretch a buck while also making a buck. No luck? You need the remaining dollars to survive. In the middle of a survey one of your children sparks an infamous fire demanding your attention. Not to mention, selling Avon doesn’t sound too bad, but then you remembered the millennials in 2017, who’s following big brands like Mac and Sephora. No chance! Discouraging isn’t it, I know, and it doesn’t help as we’d casually browse through social media seeing other moms, college students, and average women like you and me striking it rich effortlessly online. But, once again it’s that time of week to go grocery shopping, on a budget of course. As we scavenge through the weekly circulars, almost instantly an epiphany hits you like an exploding light bulb. Coupons! “Calm down little Charlie, you haven’t found the golden ticket. It’s just a coupon.” Spouses or peers can be so negative sometimes, but pay them no mind. They are simply non-believers as we once were. I was told similarly by my mom when I began couponing 4 years ago. After learning her doubts, an unusual calming effect of confidence came over me. I nonchalantly shrugged her off saying, “You don’t believe me? Just watch” and proceeded to search for coupons not realizing it was Tuesday. Any good couponer knows this is a terrible day to begin. Fast forward, you are three months into your couponing journey. Your spouse, roommate, or in my case my parent are now conflicted. They love the vast number of accessible products, but the living space is condensing over time. “I want my living room back”, my mom used to say. While, in the same breath she’d ask, “when do you plan on picking up more laundry detergent?” Which any good couponer knows anything in laundry takes up majority of the living space. Conflicted much? Eventually, my mom began using my couponed goods and almost instantly became a nutty cheap event planning junkie, who had no desire of establishing a business of her own. At home, she’d host mother’s day brunches, turkey day gatherings, and Secret Santa dinners. At her workplace, she has curated a themed party for every other holiday in between. Perfect definition of an event planning junkie, unfortunately, I was her minion. From the kindness of her heart, she would host events without any reward and in the midst of her event planning craze, she gained notoriety for hosting a raffle at every event. Understand, yes, she is one of the nutty cheap professors, but, prior to her existence at the job, the company did not have an event planning committee, she now gets paid for events and runs the committee. Holidays were just another miserable day at the office wishing you were elsewhere, now the entire office has something to look forward to. Everything you’ve wanted right or not so much? If you do not have a child, nor a big family, you’d find your products collecting dust, expiration dates making an appearance, and new renditions of the products being made. It’s ok though, our friends and family love receiving free gifts and baskets of the products we’ve been hauling, I mean collecting. But once back home, big name brands continue to stare at us. What to do? Ever had the feeling of doing more with your products? Think of your potential earning, building, profiting, increasing your online following, and couponing all the things you want and need to bring your dream into fruition. It could happen with The Raffle Bar. The Raffle Bar was created as a one stop shop to raffle away any product online and earn an extra buck from our stock piles. If you have a platform via social media then you have an outlet to host a raffle. By using the raffle bar, couponers have an opportunity to reward their audience a chance at winning extremely discounted name brand product(s) that are normally found only at the retail price. Profit 95% on (1) raffle, as The Raffle Bar deducts 5% as a small fee. If you are a mom, or running a business and do not have the time, The Raffle Bar makes it easy for you! Click the link to learn more. Finally, as a new age “hoarder”, we now have a way to profit off our goods and services that we dedicate 6 hours or more per day to. Lately I’ve been watching TLC’s new show, “Extreme Couponing” which is sort of like watching a train wreck. You know you should look away but you just can’t. The show profiles people who get hundreds or thousands of dollars worth of merchandise for free or close to it, thanks to their use of coupons. This show has sprouted a lot of interest in couponing and many people are wondering how they can do this, too. The truth is, you probably can’t. At least not on any sort of consistent basis. Real people who use coupons probably save anywhere between ten and fifty percent on their average shopping trips. This is great but it’s not the extreme shown on TV, which leads some to feel like they’re failing. You’re not failing. You’re normal. These people on TV are not normal. Here’s the truth about how they get those deals. These are not normal shopping trips: There is a reason the word “extreme” appears in the title of the show. Many of these people have been planning their attacks for weeks. They aren’t going for the typical items like break, milk, or produce. They are buying things like boxed pasta, health and beauty aids, canned food, and other items that don’t expire. While it may look cool that they’ve saved all this money, this isn’t (or I hope it’s not) all that they feed their families. Off camera, they are probably making other trips to fill in with other items. They aren’t getting everything for free. Some participants resort to fraud or actively circumvent/abuse store policies: The show profiled one woman who wanted to divide her order into multiple transactions to take advantage of the fact there her store was offering $10 off of every $50 purchase. She broke her huge order into multiple $50 transactions to further her savings. The manager came over and told her the policy was one discount per person. Since she had her husband with her, she was eligible for two discounts. Rather than be happy with that, they called all their friends to the store and made them each do a transaction. Is it legal? I suppose so since the manager didn’t complain (but then again he probably didn’t want to come across as mean on national TV). Is it within the spirit of the policy? No. Another woman is now suspected of engaging in coupon fraud. She used a convoluted process to exploit a technical flaw in the store’s computer system. There’s a good explanation of what she allegedly did here. If this is true, what she did is illegal. 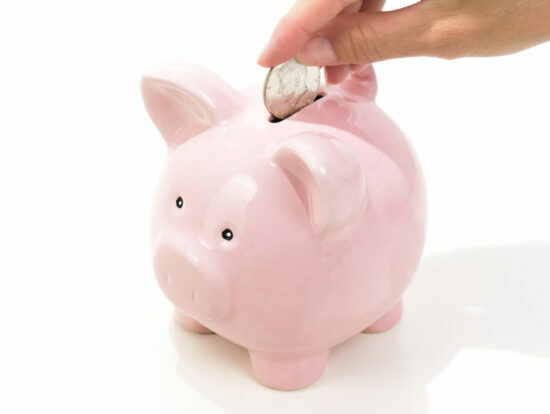 If you have to resort to cheating to get the savings, you haven’t saved anything. They give couponers a bad name: These people are the reason why cashiers roll their eyes when you show up with your coupons. They take hours to check out and some are rude to cashiers who make mistakes or who don’t process their orders in exactly the right way. The ones who resort to fraud or sketchy practices are why cashiers and managers scrutinize every coupon you present and why some stores have stopped taking coupons altogether or have limited their doubling practices. At least now I know where some of the hostility toward coupon users I discussed last week comes from. The show does not adequately track the “real savings”: Many of these people pay to get coupons from clipping services, or by buying multiple copies of the Sunday paper. Many are printing large quantities of online coupons. If you factor in ink and paper, each coupon may cost a few cents to print. One couple on the show carried supplemental insurance to the tune of $35,000 to insure their stockpile. The premium for that policy eats into the savings. One woman took a day off work to do her shopping trip. That’s either lost wages or lost vacation time. To be a true representation of the savings, all of these things would have to be accounted for. These people live in areas with great coupon policies: Not every area has stores that double coupons or triple coupons. To get these kinds of savings, you have to have stores that multiply coupons. You also need to have stores that don’t limit the number of coupons you can use. For example, my stores here say that I can’t use more than five coupons for the same item in one transaction. Therefore, if I had ten coupons for the same brand of cereal, I’d have to make two trips. My stores double coupons, but only the first five. You also need a store that will let you make “overage” on coupons. That means that if the price of the item with coupon ends up being lower than the price of the item, that the store will apply the overage to the order. Many stores will simply cap the amount of the coupon at the price of the item, meaning you have no “overage” that reduces your bill for your non-sale items even further. They are borderline hoarders: I don’t think it was coincidence that TLC’s other show, “Hoarders” aired right after “Extreme Couponing.” These people have stockpiles of stuff that they will never be able to use before it goes bad. Even things like deodorant will lose their effectiveness and toilet paper will start to degrade. Cereal will go bad. It may be great that you have two years worth of cereal, but unless you can eat all of it before the expiration date, it’s wasted. They have devoted whole rooms of their homes to their stockpiles, stuffed items under every bed and in the shower stalls, and stopped using their garages for cars to accommodate the piles of stuff. Stockpiling is fine, as long as you balance using your stock with replenishing it. Most of these people spend too much time adding to it and not enough time using it. They’ve sacrificed living space to service this addiction. They dedicate a lot of time to this: One woman spent six hours in the store. She logged in to her computer first thing in the morning to look for deals and spent all day on the computer. She admitted to leaving family events early to go shopping. Others spend hours managing their stockpiles. At the very least, they spend hours collecting and organizing coupons and matching coupons to sales and then shopping and checking out with multiple carts full of stuff. This is a full time job for most of these people and for some, it’s an obsession. The time they spend allows them to get big savings, but most couponers don’t have the time or desire to devote this much time to this. They eat a lot of processed food: There are coupons out there for healthy items, as I’ve discussed before. Not every coupon is for junk. However, these healthy coupons do not appear en masse every week. This is why you see many extreme couponers packing their carts with Ramen noodles, boxed mac and cheese, cereal, and jarred/canned food. You can use coupons and eat healthfully, but you will never get everything in your order for free. There just aren’t enough coupons for fresh produce, meat, and organic items. If that’s all you’re willing to eat, extreme couponing is never going to work for you. So can you save with coupons? Yes, but probably not to this extreme. 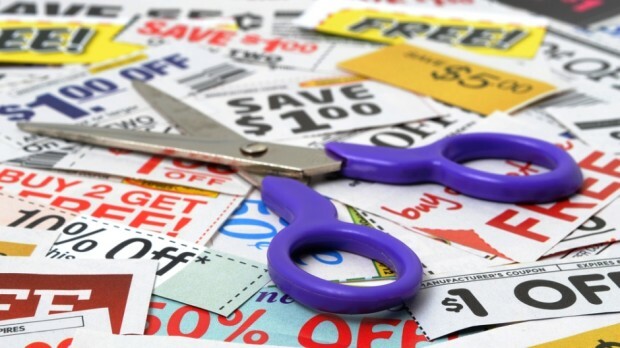 The most oft-quoted coupon strategies still apply. Match your coupons to the sale items and only use coupons for things you can and will actually use. You’ll save money. Maybe not the extreme that these people do, but you have to remember this is “reality TV” where things are often anything but real. Even if you can’t save hundreds of dollars, ten dollars saved is still ten dollars. You’re still doing well at couponing. Don’t fret if you can’t be like these people. Chances are, you don’t really want to be like them, anyway. If you already use coupons, chances are that you get coupons in the paper that you don’t use. Even if you don’t use coupons, you probably have access to coupons from the paper or magazines that you receive. Wouldn’t it be nice to turn unwanted coupons into a little extra cash? You can if you sell those unwanted coupons to people who can use them. Many people will happily pay you $1 for that $5 coupon. People who sell coupons call themselves a variety of things: Coupon brokers, coupon clipping services, or coupon finders. If you pursue this, it’s important to note that you will be providing a service. Coupon services charge for the time it takes to acquire, cut, and sort the coupons, for postage, and for incidental costs in running the business like website hosting fees. They do not charge for the coupons themselves. Why? Because selling coupons is technically against the rules of most coupons. Most coupons carry a message that they are void if sold or transferred. So technically, if you sell a coupon, you have voided it and the person buying it is technically not supposed to use it. There are no rules, however, against charging for your time and other expenses related to running a coupon service. Since there is currently no way for a retailer to know where or how someone obtained a coupon, coupon clipping/brokering services thrive. Even if the coupon wasn’t available in the buyer’s state, there’s no way for a retailer to know that they didn’t get it out of the trash or from a paper they read on vacation. Since it’s impossible to track coupons and where they come from, the retailers and brands have no way to stop the practice. It’s up to you to decide whether or not this sort of business is for you or if you are ethically opposed to it. Do collect coupons from a variety of sources: Get coupons from the Sunday paper, magazines, tear offs in the stores, or coupons that print out from the register. In addition to the common coupons, look for ones that appear in more obscure magazines and papers, as these may be coupons that not everyone has access to and/or they may be higher value. The more places you gather coupons from, the better your inventory. It’s also worthwhile to look for discounts for major stores like Staples coupons, office depot coupons, and more. While these are not the typical grocery coupons, they are still in high demand and easy to turn over. Do determine the best pricing structure for your coupons: Some people sell coupons individually while others sell entire inserts or magazines. Look at what you have and decide whether you’ll have more demand for individual coupons, or if selling them all together is the best choice. Do try to get multiples of the same coupon and sell them as a lot: If you can gather more than one of the same coupon, you can sell them as a lot. Many people will pay you for five $2.00 off coupons rather than buy five coupons from separate vendors. Don’t sell coupons that are attached to your name/rewards card/email: Any coupon that is tied to you in any way should never be put up for sale. The buyer may have to provide ID that they don’t have, or there may be other problems associated with using coupons tied to someone else. Only sell coupons that are generic in origin like from newspapers or magazines. Don’t sell coupons that are specific to one store unless you specify that in your listing: Stores put out coupons that can only be used in that particular store/chain. Make sure you specify this in the listing so your buyers can make an informed choice. If they don’t have the store in their area, they won’t be able to use it and will be angry with you. Do toss in some freebies for greater satisfaction: If you happen to know of a special sale that your buyer can combine with the coupon, send that information along. If you have coupons that are about to expire and that no one has ordered, send them along with a paying order. Maybe the buyer can use them. The more free information or extras you can provide, the better word of mouth your service will receive. Don’t copy or scan coupons and sell those (or even give them away) That is most definitely fraud and you can go to jail for that. As for where to sell coupons, you can use eBay or set up your own site. You can also sell at coupon swaps or clubs, if the groups’ rules allow the practice. Selling coupons can turn unwanted paper into a little extra cash. Just make sure that you only charge for the service you provide and not the value of the coupon itself.